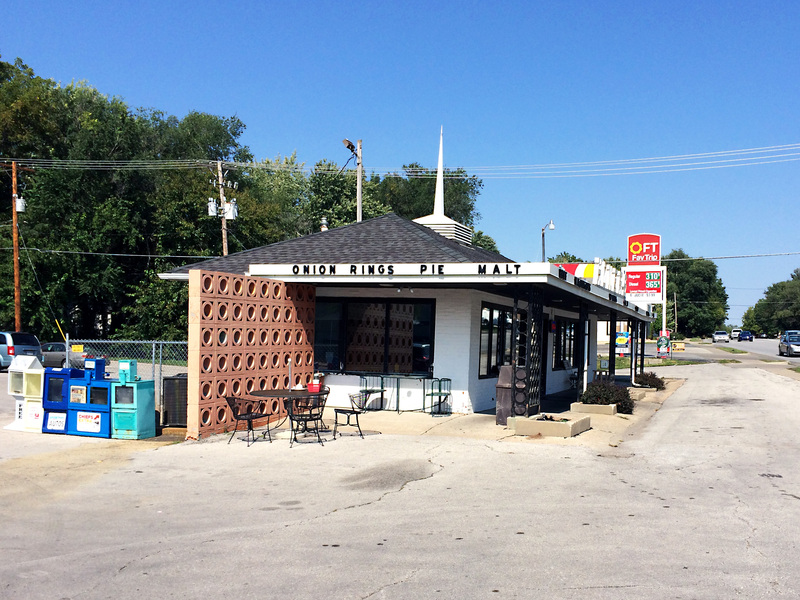 If you’re looking for “hole in the wall” type, old school fast food, then a place worth checking out is Christy’s Tasty Queen in Kansas City, KS. 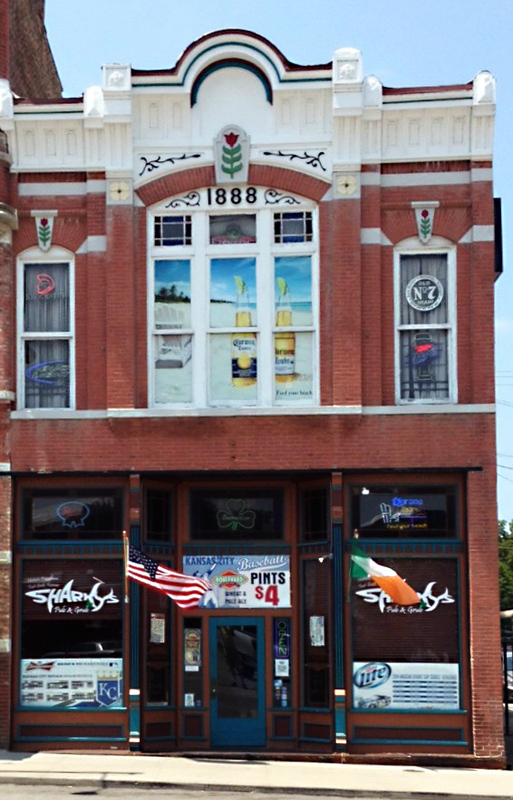 Located at 1405 South 55th St., Christy’s isn’t exactly easy to find, but once you study up on this place you might see that it is worth your time. Christy’s doesn’t do much advertising, so their popularity usually only grows by word of mouth. 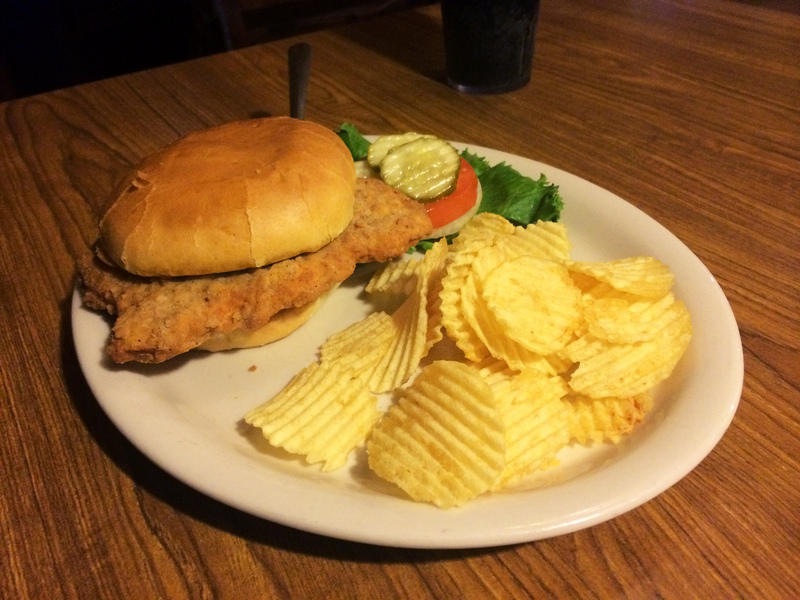 It tends to be a local favorite in the old Turner community of KCK, but most around KC will tell you though that Christy’s serves one of the best, if not the best, pork Tenderloins in the city. After hearing that, I decided it was time to go check it out. One day back in March, fellow blogger Chris Petty and I stopped in and split a tenderloin and onion ring order. Thankfully it wasn’t too cold of a day, because Christy’s has no indoor seating. In fact, the only seating they have is a picnic table outside! While the seating was Spartan to say the least, there was nothing frugal about that tenderloin or the amount of those delicious onion rings you get. I can now see why this place has been going strong for over 50 years now! They serve up a giant tenderloin that was, as far as I can tell, about perfectly cooked. It could have perhaps used some more seasoning on the meat or in the breading, but it was thick and juicy, and crispy on the outside which made up for the possible lack of seasoning. Aside from a wide variety of “fast food” products, Christy’s also serves ice cream in many various forms, so you really can’t go wrong with this place! Check out my pictures of the menu and of our order, and you may soon be figuring out how and when to go try this hidden gem of Kansas City. 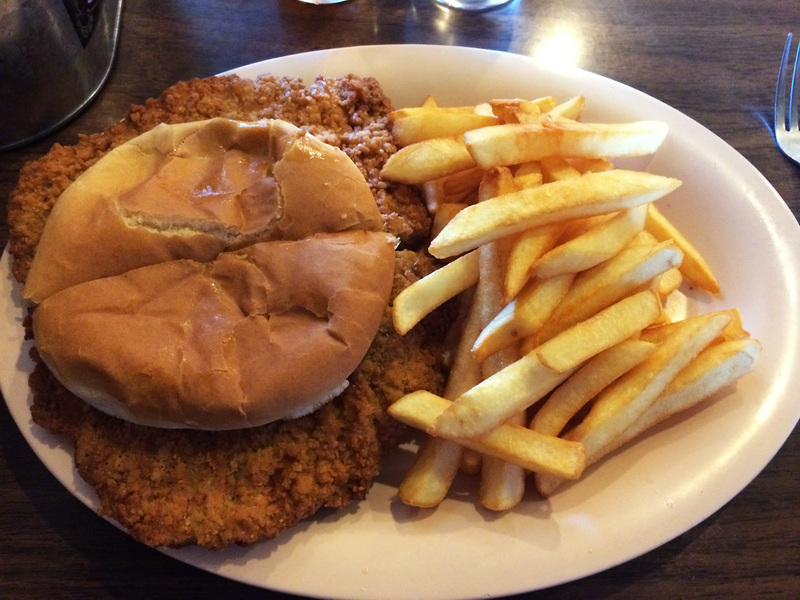 Grandstand Burgers, located at 4942 Merriam Drive in Overland Park, KS (very close to two other KC suburbs of Shawnee and Merriam) is your classic old school burger joint…..but they also serve up one heck of a good pork tenderloin! It’s tiny place, so I recommend going when the weather allows you to enjoy one of the many picnic tables located outside. Also, plan to spend a little time there, as they don’t claim to be fast food. Did I mention the pork tenderloin?! I don’t normally order these, because in my opinion, if you’ve tried one, you’ve tried them all. That’s not the case at Grandstand Burgers! The pork tenderloin that they here serve is better than most! The combination of seasoning sets their pork tenderloins above many others. 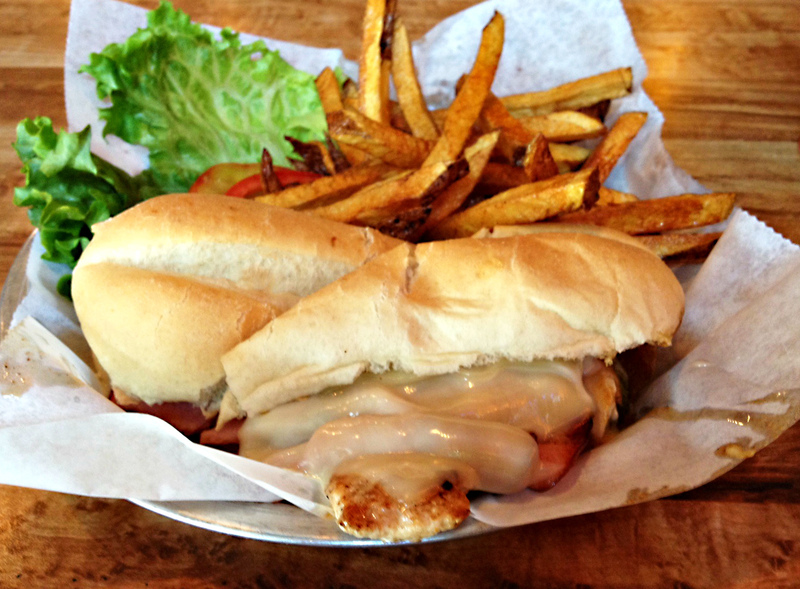 Does Grandstand Burgers serve the best pork tenderloin in the Kansas City Metro area? I guess you’ll have to try it yourself to make that decision! Mall Deli is an iconic restaurant in Pittsburg, Kan. People flock to the deli, located at 202 E Centennial Drive, which has been a fixture in the area since 1979. 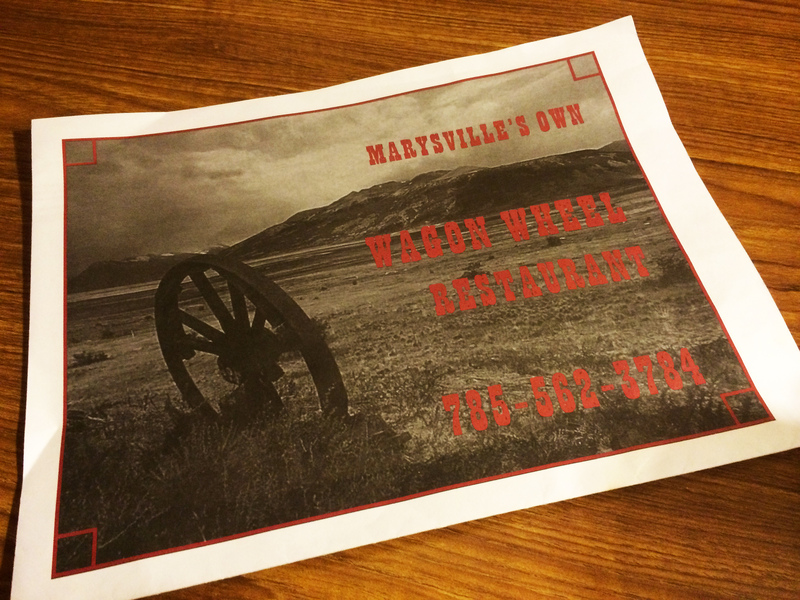 A quick look online shows rave reviews about the place. My visit was mid-afternoon on a Sunday, and I was very surprised at how busy the place was…..a testament to its popularity! 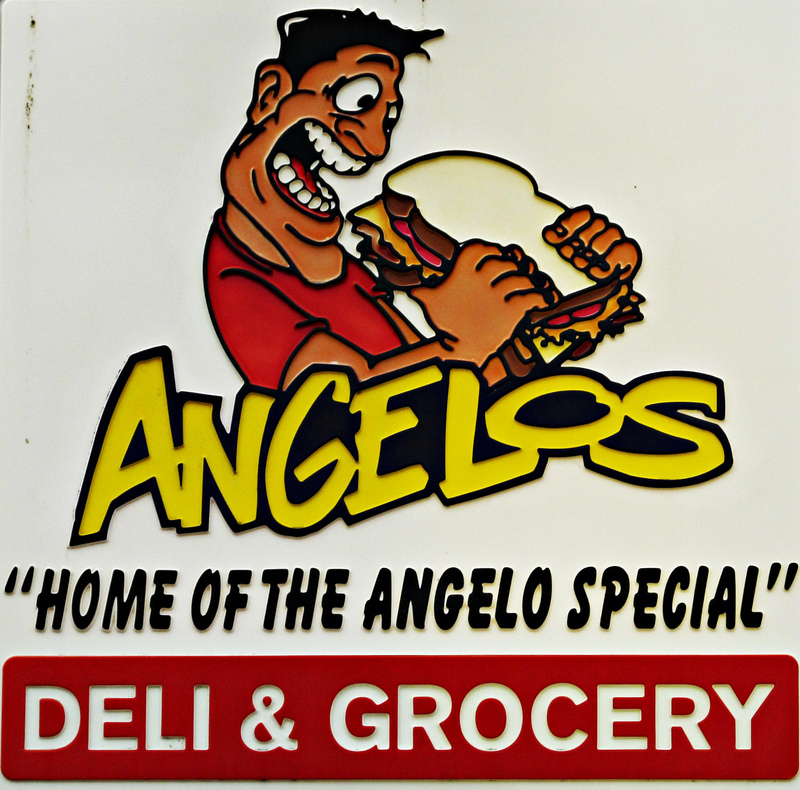 It’s not a typical deli, where you purchase meat or cheese by the pound, but more of a restaurant, where you order your deli sandwiches from the wait staff. The atmosphere is classic vintage 70’s / 80’s. Although the Mall Deli was very busy during my recent visit, the staff was very pleasant and quick. I was surprised how inexpensive my tasty, heated submarine sandwich was. My delicious sandwich was served with a huge helping of potato chips, which a friend states are phenomenal when you dip them in the Deli’s secret sauce. Speaking of the secret sauce, man does that stuff have some zing! It was similar to a ranch dressing, but with an added kick of flavor! I enjoyed the sauce on my sandwich, but will have to make a return visit to try it on my chips…..a return visit I’m certainly looking forward too! 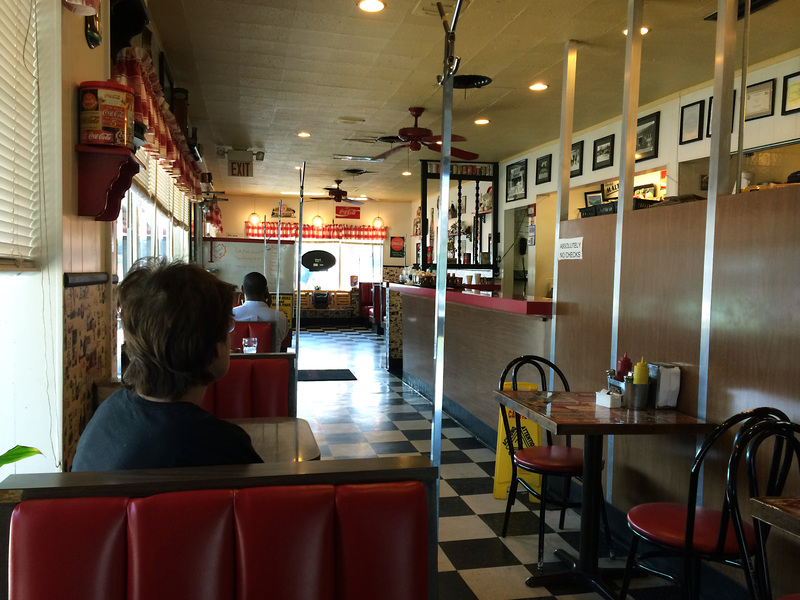 A Yelp search for top restaurants in Topeka, Kan., will bring up a place called The Burger Stand. This name sound familiar to foodies, because there has been a very popular location of the same name in Lawrence, Kan., at the Casbah for several years. 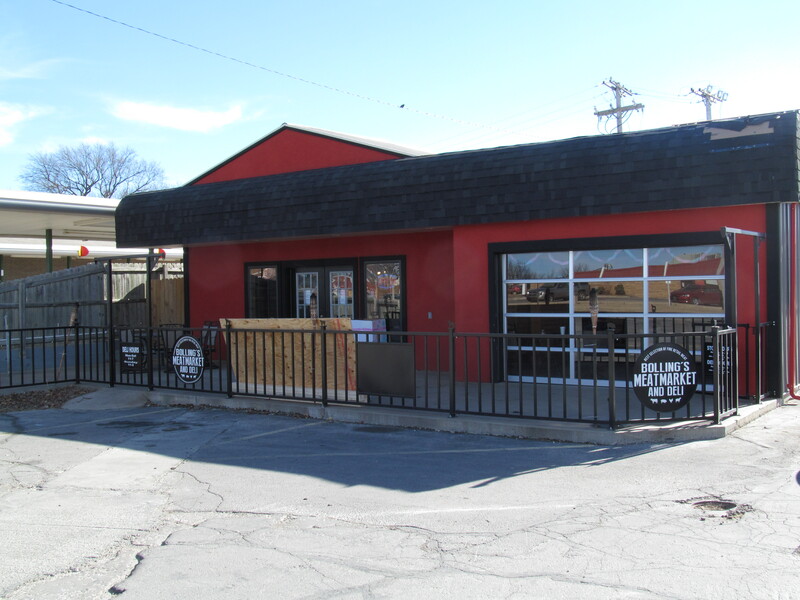 The Topeka location is located at 1601 SW Lane St., in the historic College Hill neighborhood near Washburn University. Being curious as to if one of the top rated Topeka eateries would have any pork on their menu, naturally, I checked the place out! As expected, The Burger Stand offers a bacon cheeseburger, but deliciously unexpected, they also offer bourbon bacon cheddar cheese fries! Available in either a side or a basket, they make a bacon cheeseburger meal even better. The Burger Stand is fun and the food is good. Check it out yourself the next time you’re in the capital city. Bring a big appetite and add an order of bourbon bacon cheddar cheese fries. 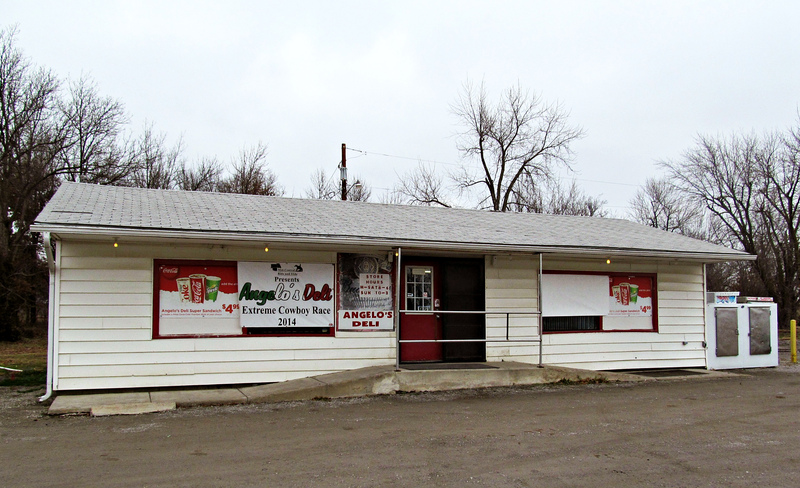 Bolling’s Meat Market and Deli, located at 201 S. State Iola, Kansas is a one-stop meat shop. 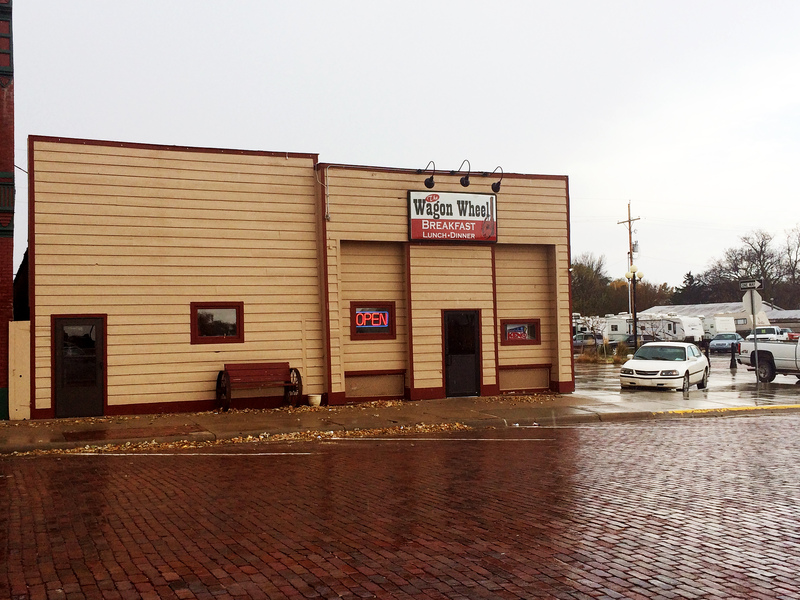 The same family also owns the Moran Locker in Moran, Kansas, so they are well versed in the meat business. The meat market has everything you would expect a meat market to have. What they don’t have, they are willing to order for you. I ordered several pounds of meat from them for a barbecue last summer and got a great deal. Keep this mind if you are an area competition barbecue enthusiast. They will also ship meat nationwide, for those outside of the Iola, Kansas, area. Alongside the meat market is a fantastic deli. The menu includes sandwiches that come in #8, #12, #24, #36 and #72. This is not a reference to the length of the sandwich, but to the slices of meat. The #72 features a full two pounds of meat! I prefer the #12. One of my favorites is the #12, with ham, capicola (a traditional Italian pork cold cut made from the dry-cured muscle running from the neck to the 4th or 5th rib of the pork shoulder or neck) – and bacon. This is a pork lover’s special! 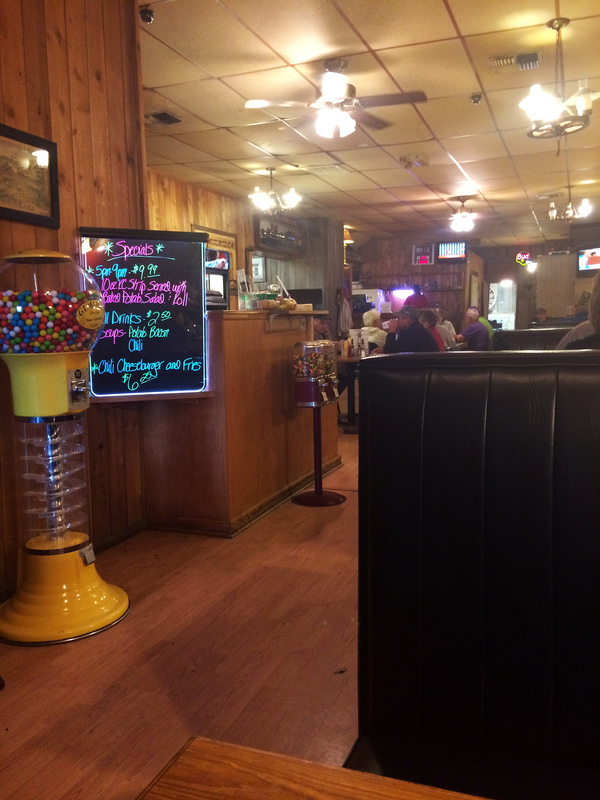 Bolling’s Meat Market and Deli and Around the Corner Coffee and Eatery are two of my favorite Iola restaurants. 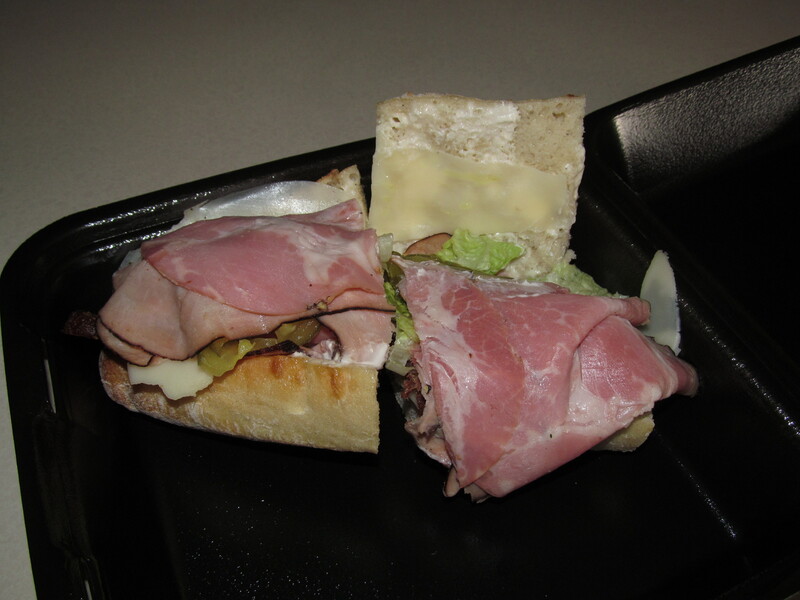 Look For Around the Corner in an upcoming blog and check out Bolling’s Meat market and Deli.